Hello, everyone! 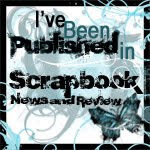 Welcome to DeNami's May Blog Hop! If you are following the blog hop, you must have seen the wonderful creation of Ruza Rebel! If you missed the previous blog stops, you can hop back over to the DeNami Blog to start from the beginning. You have until May 9, 2011 11:59pm PST to leave comments on all the blogs in order to be eligible to receive one of the two $20 DeNami gift certificates. Winners will be chosen randomly. Good luck! Thanks again for joining us at the hop! Your next stop is the talented Tenia Nelson. Have fun hopping! Oh! I like girly cards. Such a perfect scene of "girliness"!!! 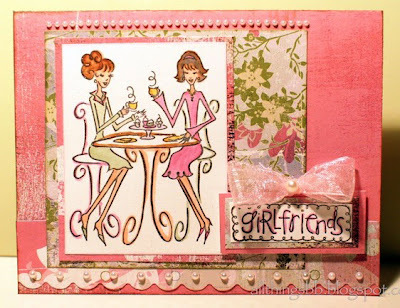 Wonderful work on the blog hop challenge - so girlie girl! The DP is so feminine and pretty! Hope you are enjoying Mother's Day! so cool - love the layers! Love your card! So many fantastic girlie elements! Great design, great colors, great everything. Very cute card! Love the colors and stamps you used! Thanks for sharing! Super sweet! Love all your papers! This is a beautiful card - such a sweet scene, and the paper and embellishments are perfect. That stamp is the perfect girlfriend stamp! With this card, you've really brought it to life, too. Lovely! I love this image, and you colored it beautifully! I like all the pearls along the scalloped bottom of the card too. Really like this card and the layering. I love the background pattern you used and I love this card! It's so girly and pretty! The pearls and the ribbons definitely give it an ultra girlie touch. So fun! 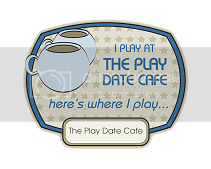 Very cute and perfect for the theme! Great job. The ladies at lunch. Very girlie. Thanks for sharing a wonderful creation. Very cute card. I love the Mimi stamp. This card is so beautiful, Shirley! I love everything about it- the ribbon, pearls, colors, patterned paper....it's all simply perfect! 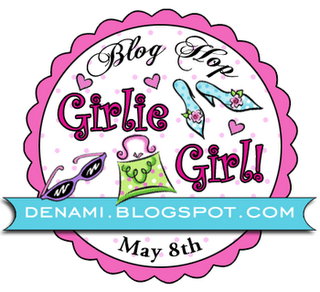 We are so glad that you joined us in the Girlie Girl Blog Hop- it's been so fun to see your beautiful DeNami creations! So pretty and girlie! I love it! The bow is the perfect touch and I love the pearls, too!!!! So girlie and so super fun!!! Awesome job coloring that Mimi image!! And I LOVE your attention to detail!!! I am so loving this card! All those pearls are FAB!! Love the way the scene on your card pops out and the pearl accents too. Great stamp set and coloring. Love your choice of patterned paper looking so much like a bright and cheery garden. Beautiful sheer bow & pearls accent this girlie card!